Henderson Island is a tiny, uninhabited island in the middle of the Pacific Ocean, 3,000 miles from major population centers. Though it is half the size of Manhattan, more than 19 tons of trash litter its white, sandy beaches. Researchers estimate that it has the highest concentration of debris of any place in the world, for a total of over 37 million pieces on the entirety of the small island. For every square meter you walk, on average you’ll find 672 pieces of trash. For each visible piece of debris on the beach in the video above, two pieces are buried in the sand. 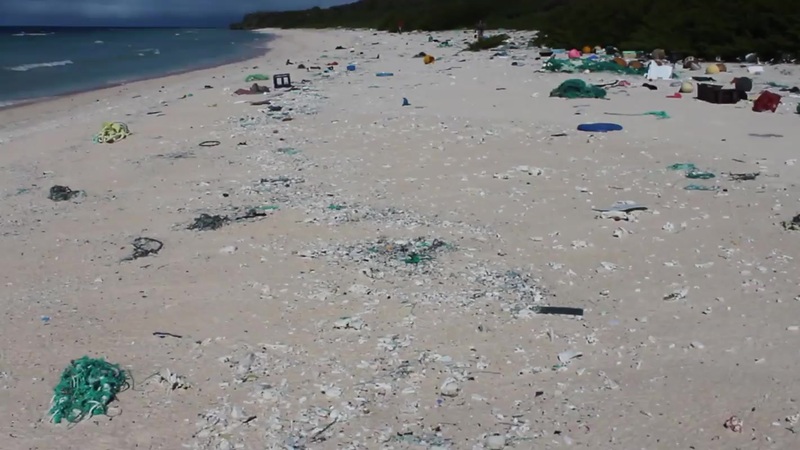 How does so much trash wash ashore on Henderson Island? Let’s start with how discarded plastic is handled on land. In 2015, researchers calculated how much waste is flowing from coastal countries into the oceans. Mismanaged plastic waste is defined as waste that doesn’t make its way to proper receptacles, either intentionally or accidentally. Mismanaged waste tends to be higher in developing countries lacking municipal waste-collection systems that deliver garbage to recycling centers and/or landfills. Direct dumping contributes a significant portion of plastic litter in rivers, but land-bound trash also can make its way to water. Rainwater ushers mismanaged waste from land into local waterways, which feed into larger tributaries and rivers, which in turn empty into oceans. In this way, plastic from far inland can travel many miles to the coastline. Polluted rivers are pumping the world’s plastic into the oceans—bringing a significant portion of the estimated 9 million tons of plastic that end up in the ocean annually. That corresponds to five grocery bags stuffed with plastic trash for every foot of coastline. The 20 most polluted rivers account for two-thirds of the total amount of plastic entering the ocean from rivers. Fifteen are in Asia, in areas with frequent heavy rainfall and dense coastal populations. Rivers in Asia are responsible for 86 percent of input from rivers. The top 122 rivers account for more than 90 percent of plastic input from rivers into the ocean and are fed by land that houses 36 percent of the global population. Relatively little plastic waste enters the ocean from North America and Europe because of their more robust waste-management systems. 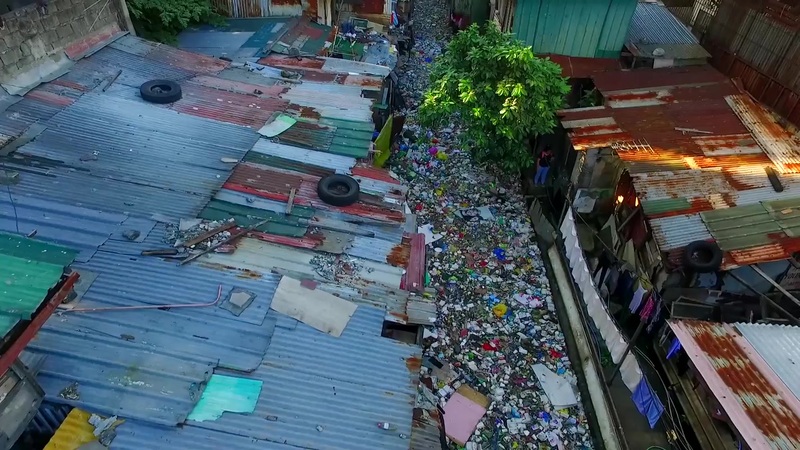 Believe it or not, what you’re looking at is a tributary that feeds into the Pasig River in Manila, Philippines. The Pasig is one of the most polluted rivers on Earth, but it wasn’t always this way. It flows through downtown Manila, capital of the Philippines, and empties into the once pristine Manila Bay. Manila has a metropolitan garbage-collection system that stretches across 17 separate local governments—a source of chaos and inefficiency. In 2004 the region was already running out of land to safely dump garbage. The shortage of landfill space, and thus the crisis, continues today. In 1990 the Pasig was declared biologically dead, and in 1999 the Pasig River Rehabilitation Commission was formed to help clean up the river. The tributary that feeds into the Pasig River serves as an extreme example of how much of our trash makes it into the ocean. China’s Yangtze River is the most polluted river on Earth. 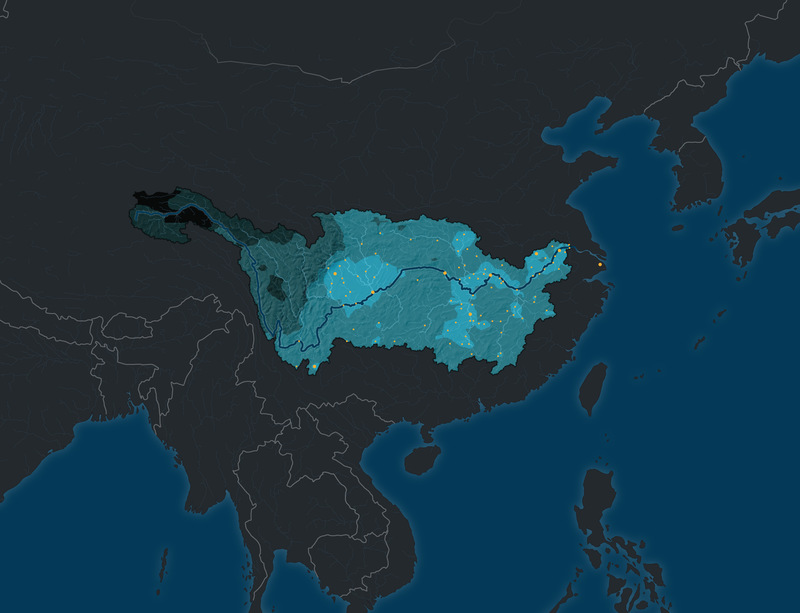 Hundreds of waterways within its watershed feed into the Yangtze River from thousands of miles inland, shuttling far-off waste into the giant waterway. A portion of the mismanaged waste from heavily populated cities within the Yangtze River watershed eventually empties into the Pacific Ocean by way of the East China Sea. When waste reaches the ocean, tides and currents transport it around the globe, circulating in massive gyres. Some waste gets caught up in the gyres, spinning and cycling in large swaths of the ocean. Because Henderson Island is located in the South Pacific gyre, it has become a deposition site for trash, most of which originated from land. 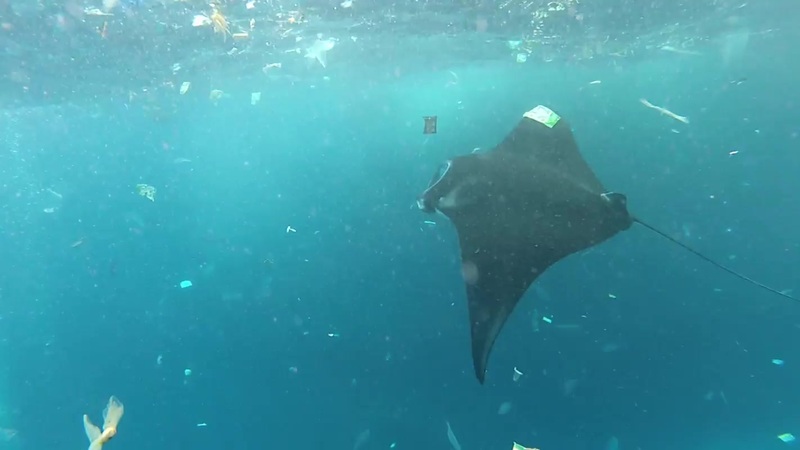 Trash falls from the surface of the water and into a manta ray’s mouth—an image captured by a diver off the coast of Bali. Meanwhile, ocean plastic is estimated to kill millions of marine animals every year. Nearly 700 species, including endangered ones, have been reported to be affected by it. Some are harmed visibly—strangled by abandoned fishing nets or discarded six-pack rings. Many more are probably harmed invisibly. Marine species of all sizes, from zooplankton to whales, now eat microplastics, the bits smaller than one-fifth of an inch across.